Are you coming to The Netherlands in summer and wondering what to do in our small, but wonderful, country? Seriously, there is so much to do in The Netherlands over summer, you better book your tickets and hotel soon. The weather is often quite good, pretty warm, and the country is nice and relaxed this time of year. 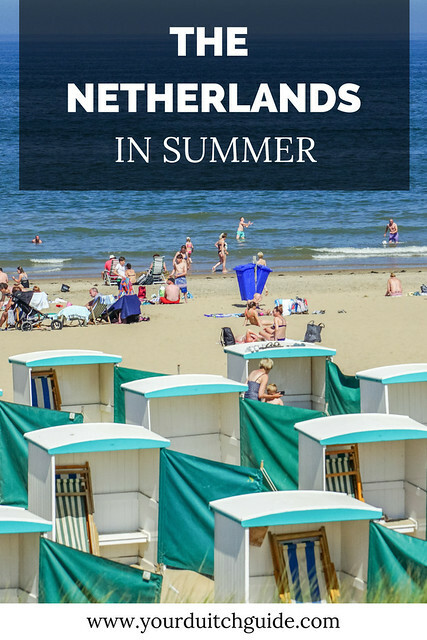 Check out my 15 favourite things to do in The Netherlands in summer. Hello all! It’s been quiet here for a little bit, but I have a very solid reason. 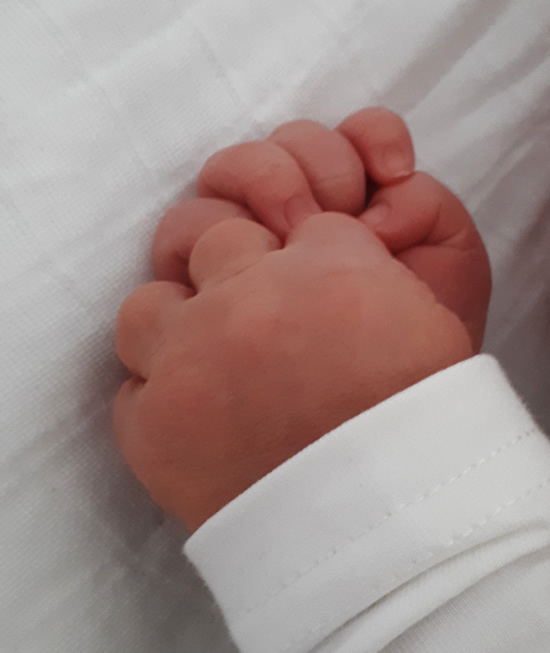 Our little boy was born at the end of May, so you could say that I have been more than a little preoccupied. It’s been a fantastic rollercoaster and our little one is very cute and curious, so here’s hoping we have a new globetrotter in the making. But back to our regular program now, as I am sure you would like to read all about what to do in The Netherlands in summer. I can’t blame you, as I literally had difficulty choosing just 15 things that are simply the best in the summer season. Lots of people don’t know that the weather is mostly very mild, and even warm, during the Dutch summer months, which makes summertime an excellent time to visit. Most people don’t quite think of beaches when they think of The Netherlands, and that’s a pity really, as Dutch beaches are (often) spacious, not too crowded and guarantee entertainment, with beach clubs, bars and water sports facilities, such as windsurfing or kite surfing. Visit the quaint beaches in Zeeland, the posh beaches near Haarlem or the fun beaches near The Hague. 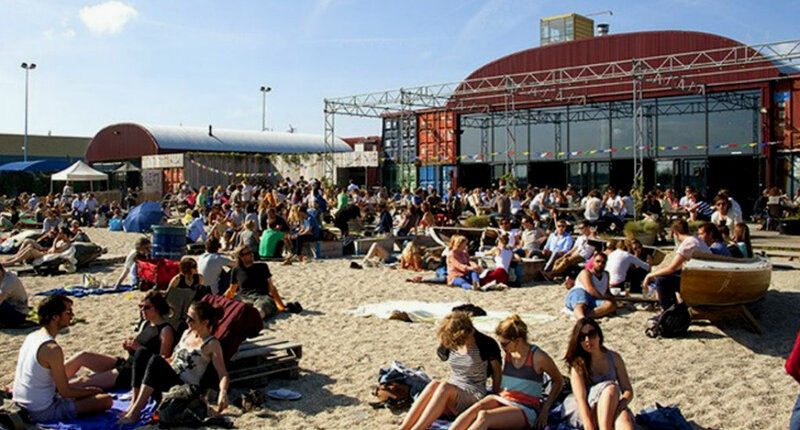 On a sunny and warm day: there’s no place you’d rather be than a Dutch beach. Read all about 7 fun beaches in The Netherlands. As much as I love, love, love Amsterdam… it can get quite crowded, especially in summer months when Duch people take time off in summer and visit Amsterdam for a day or two. If you’d like to escape the crowds of Amsterdam for a day, simply hop on a train. 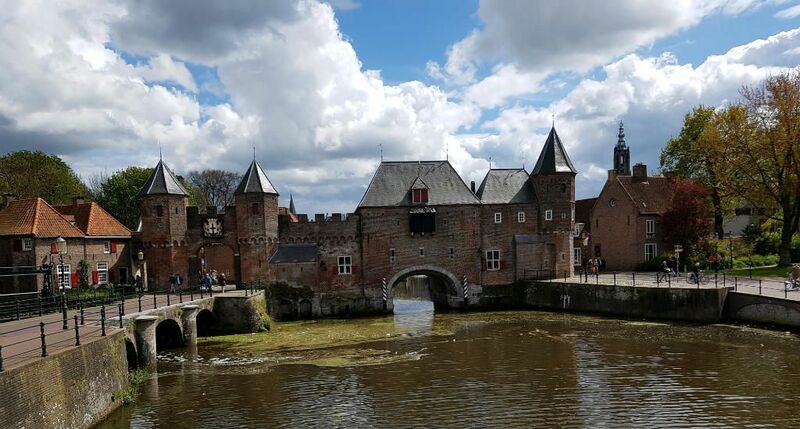 Because within an hour you’ll be able to visit some amazing and little known Dutch cities that are simply beautiful and deserve to be explored. 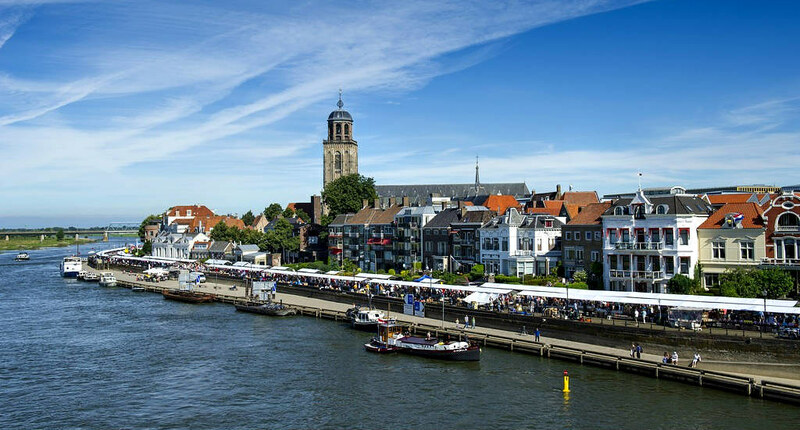 I am a big fan of colourful Deventer, as this ancient city has a lively city centre with many artisan and independent shops and a lovely view from the riverbanks. 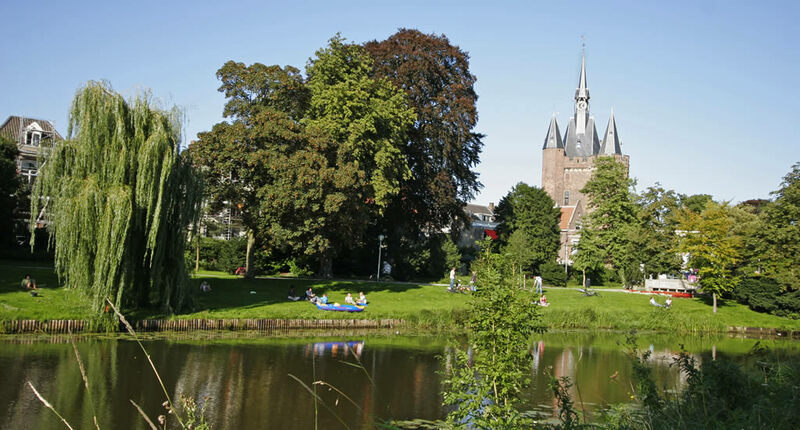 Zwolle isn’t too far from Deventer and used to be a beautiful walled medieval city. It still is a pretty city, even though most of the walls have long since crumbled. Zwolle has pleasant shopping streets, a beautiful bookshop in an old church and some great possibilities for fine dining. Closer to Amsterdam is the little-known city of Amersfoort, I live nearby and absolutely adore this place. Its compact historical city centre is a joy to explore, but it’s also fun to discover the rejuvenated industrial site that now is De Nieuwe Stad as well as the Mondriaan Huis, as Amersfoort is where famous artist Piet Mondriaan was born. To travel in The Netherlands by train, you’ll need an OV Chip Card, which you can buy at every station. You can charge this card as you go and you’ll be able to use it on all public transport in The Netherlands. Plan your trip by train in The Netherlands using this website. Only a stone’s throw away from Amsterdam lays the town of Muiden. It makes for a truly delightful day trip from the Dutch capital, yet it is often completely overlooked. The centre of the town has some lovely traditional Dutch houses, along the waterside and the locks. 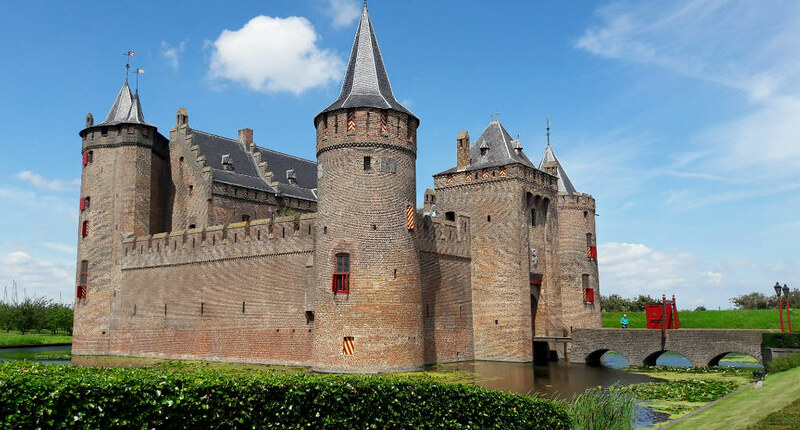 Take a boat trip to see the magnificent fortress on Pampus island, or stay in Muiden to visit dreamy Muiderslot and its lush gardens. 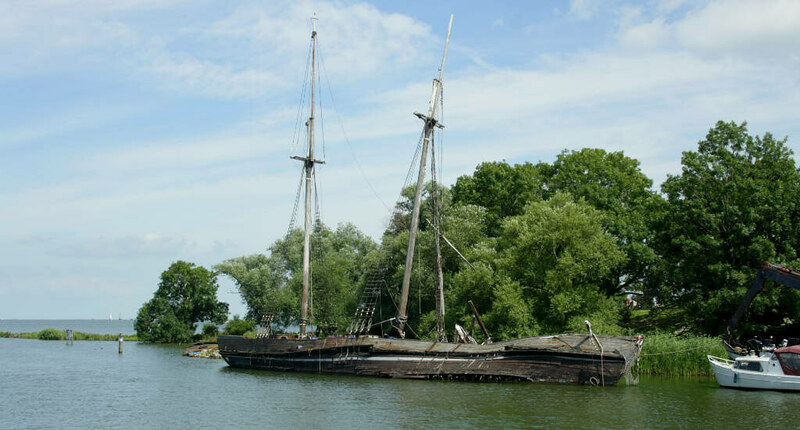 In my article Day trip from Amsterdam: Muiden you can read all about Muiden and how to get there from Amsterdam. What better thing is there to do in The Netherlands in summer than to be like a Dutchman and explore the country by bike. When in Amsterdam, one of the cheapest ways to get around is by bike, as it’s so easy and cheap to rent a bike. By bicycle, it’s not only easy to explore more than just the city centre without being stuck in a hot metro or tram cart, but you’ll also be able to see parts of the city that aren’t completely overrun by tourists yet, like Amsterdam Noord. On a warm day, I highly recommend joining this guided bike tour in Amsterdam to enjoy the beautiful countryside surrounding Amsterdam, overlooking lakes, typical Dutch villages and even a castle. When people picture The Netherlands, they can’t name canals, tulips and windmills fast enough. And most people don’t know that nature in The Netherlands, though sparse, can be absolutely breathtaking. And this is absolutely the case when it comes to the Waddeneilanden, the 5 islands a little north of The Netherlands. 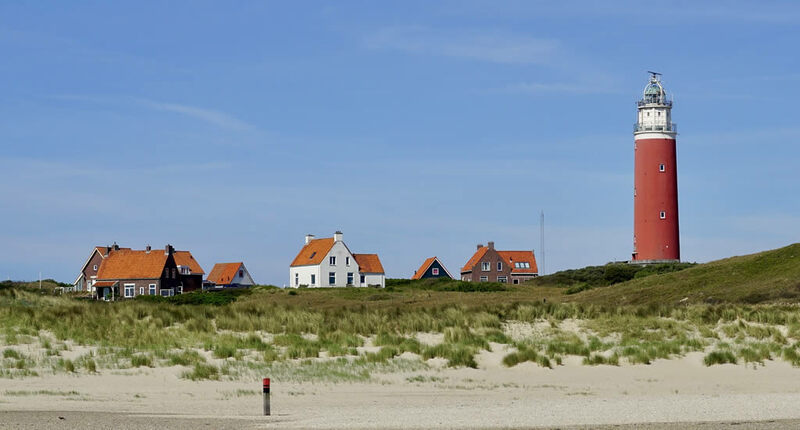 The largest island is Texel, which is easy to reach from Amsterdam by train and ferry, with amazing wildlife reserves, quaint villages en wide sandy beaches. Other alluring islands, like Terschelling and Vlieland, can be reached from Harlingen harbour. Check out affordable accommodation on Waddeneilanden. It’s no secret that over half of The Netherlands is below sea level. I always like shocking people by telling them the house of my mother-in-law lays 8 meters below sea level. It doesn’t get in the way of daily life though. That’s why we Dutch have dunes and dykes. However, they didn’t always protect us. Like in 1953 when the coastline was suffering from massive floods and most of the province of Zeeland was struck by disaster and the water claimed hundreds of lives. 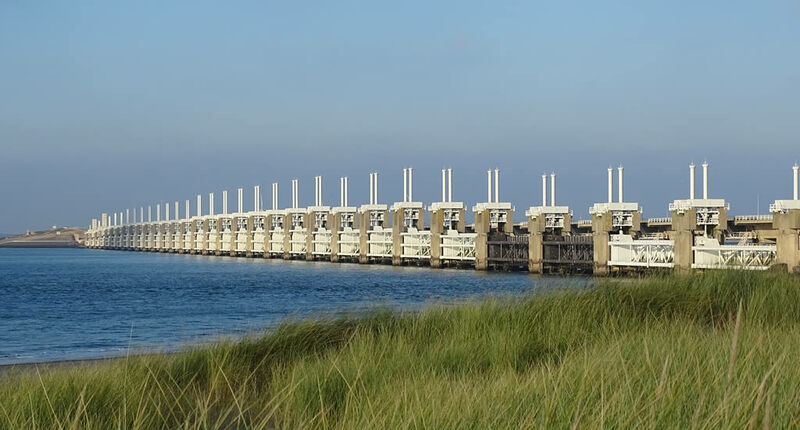 This resulted in the construction of the Delta Works, something that shows the true soul of the Dutch, I think: inventive and never accepting defeat. Neeltje Jans, which is the name of this massive storm surge barrier is an amazing site to visit and the exhibition centre will tell you more about this structure as well teach you all about the massive power of water. 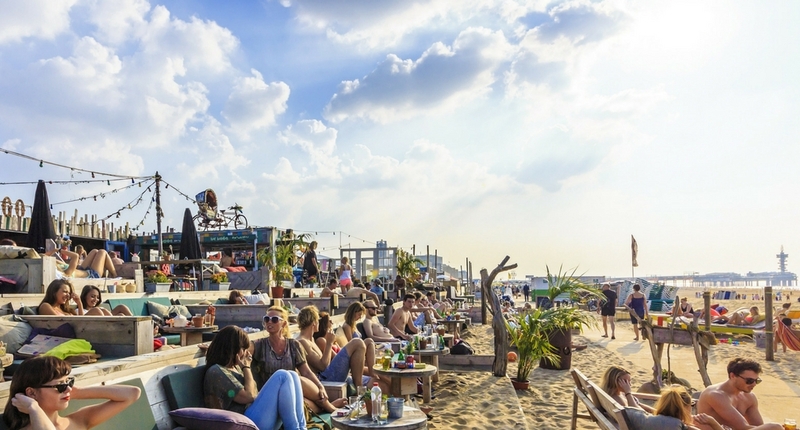 If you’re a city person (like me) and enjoy the beach mostly from the shade of an umbrella with a sparkling drink in hand (like me), then the city beaches popping up all over Dutch cities in summer are just for you. Even when you’re only in the country to visit Amsterdam for a few days, you can visit the Amsterdam beach of Pllek on the grungy NDSM island. But use the good weather as an excuse to explore the country a little further and visit SOiA in Utrecht or DOT in Groningen. In my article The best Dutch city beaches you will read all about them. The Netherlands are a country of water, water and then some more water. Canals, lakes, streams, rivers, we have it all. The Dutch and the water have a love-hate relationship, but it’s mostly love in summer. Popular lakes to go sailing are the Frysian Seas, IJsselmeer, Loosdrechtse plassen and of course: Waddenzee. You can even book a cruise to discover the lovely lakes of The Netherlands. But it’s also not much of a problem to rent a boat and go sailing yourself. This website tells you how to handle and plan it. Canals, it doesn’t get more Dutch than that. Right? Of course, in Amsterdam, you can sit by the canal, see the canal on a sightseeing boat, or having coffee by the canal. 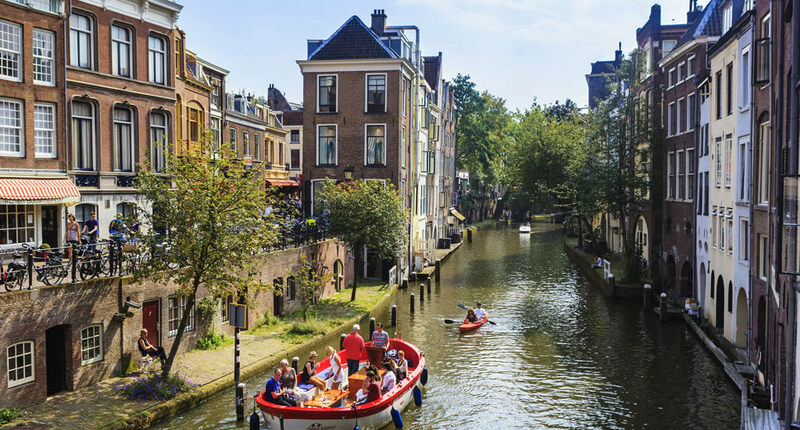 But in my dear old Utrecht, you can get up and close with the canals by renting a kayak for a few hours or the entire day. And it’s a great treat when you’re on a budget, as renting a kayak only sets you back €6. The Netherlands are of course known for canals, wharves, museums and tulip fields. But even though the nature parks in The Netherlands are few, they sure can be pretty. 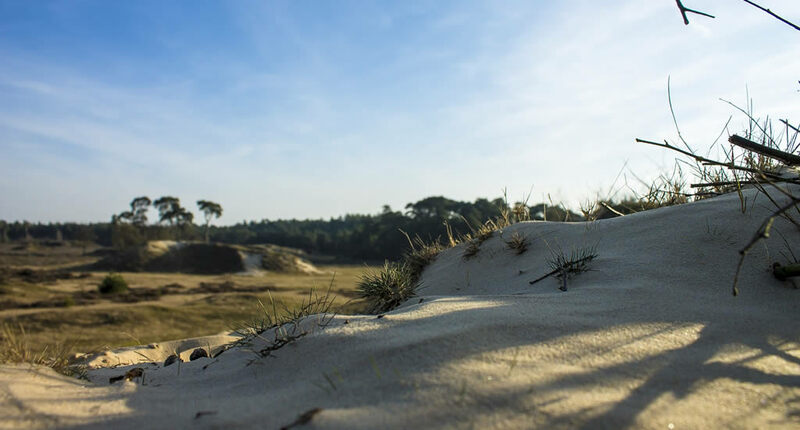 Personally, I think Hoge Veluwe National Park (the largest national park in the country), with marshlands, forests, dunes and moorland is absolutely magnificent and makes for an easy day trip from Amsterdam. You can enter the park at Schaarsbergen, Hoenderloo and Otterlo. Visit the main visitor centre in the heart of the park with beautiful displays of flora and fauna or book a guided tour there. It’s also possible to grab a bike and take a tour along 42 km of bike paths and trails (you can choose whatever distance you like, the mushroom-shaped distance markers will guide you) and maybe you will even see some wild boar and red deer. The highlight of the national park is the Kröller-Müller museum, one of the best museums in The Netherlands, with works by the greatest painters, from Bruyn to Picasso. The collection of Van Gogh paintings is stunning, just go have a look at The Potato Eaters and The Weavers. From Amsterdam, you can take a small group tour to Hoge Veluwe National Park and Kröller-Müller Museum. Colourful beach huts are very typical for the English coastal towns and USA East Coast resorts, but more and more self-service beach huts are popping up along the Dutch coast. I have never stayed in one (as they get booked up pretty fast), but it must be fantastic to be lulled asleep by the sound of the crashing waves, wake up and walk to the sea for a refreshing morning swim and picnic and BBQ the day away. 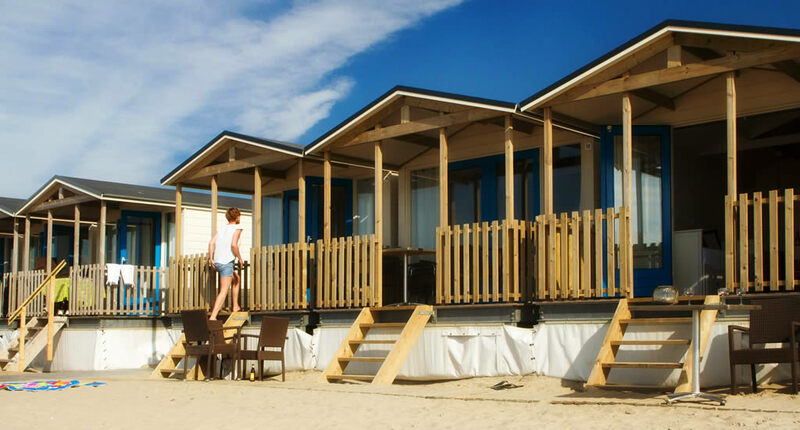 It’s possible to rent a beach hut, for example in Maurik or Wijk aan Zee. You can check out this particular website (it’s in Dutch, but you’ll manage) for hundreds of accommodation at the Dutch coast. Coming from the south of The Netherlands, I can tell you one thing. The real villages of Holland are quite something, even for most Dutch people. The architecture, structure and colours of the houses are picturesque and make for dreamy escapes from busy Amsterdam. You don’t even need a lot of time to visit some pretty villages, some are only a 15-minute bus ride away from the bustling Dutch capital. I highly recommend visiting Broek in Waterland or Zaandam from Amsterdam. 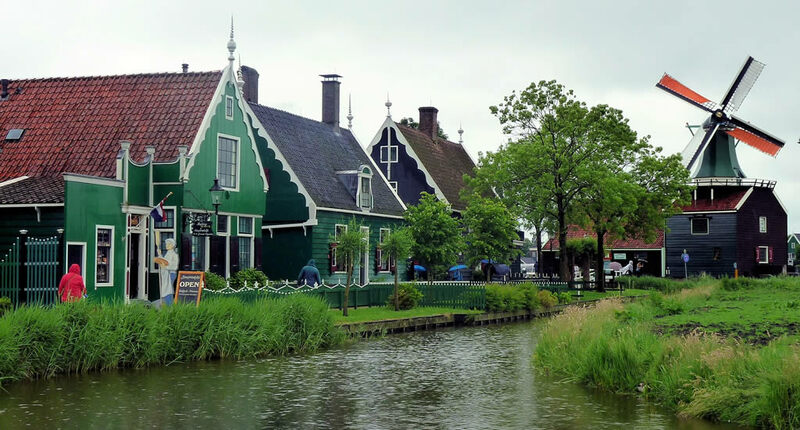 In my articles 4 villages near Amsterdam, you must visit and 5 beautiful canal villages in The Netherlands you’ll see why it would be lovely to see some authentic Dutch villages during your stay in The Netherlands in summer. 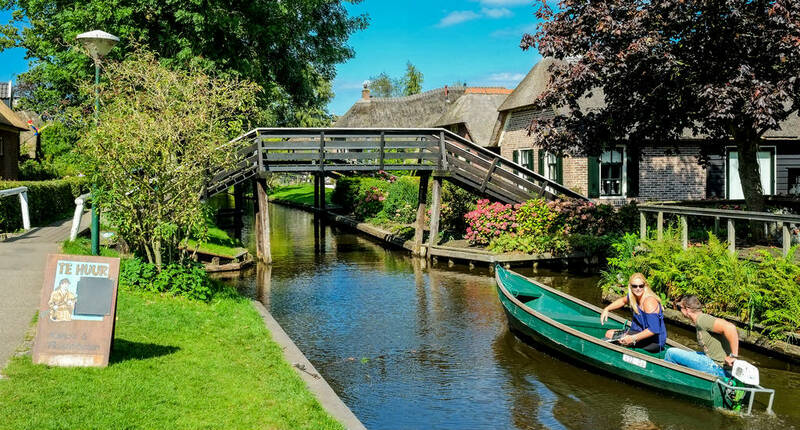 If there is one highlight in The Netherlands that I absolutely would love you to see in summer, it’s Giethoorn. This amazing town is also called Venice of the North as this mystical town has no roads, only canals, bike paths and walkways. In the olden days, farmers even moved their coves by boat. Giethoorn was built on and around water and there is no better way to spend a summer day than to get to Giethoorn, rent a boat and spend a day on the water. For a country as densely inhibited as The Netherlands, there sure is some wildlife to meet and see. As I’ve written in this article, wild boar and deer can be seen in National Park Hoge Veluwe, and also in Achterhoek. 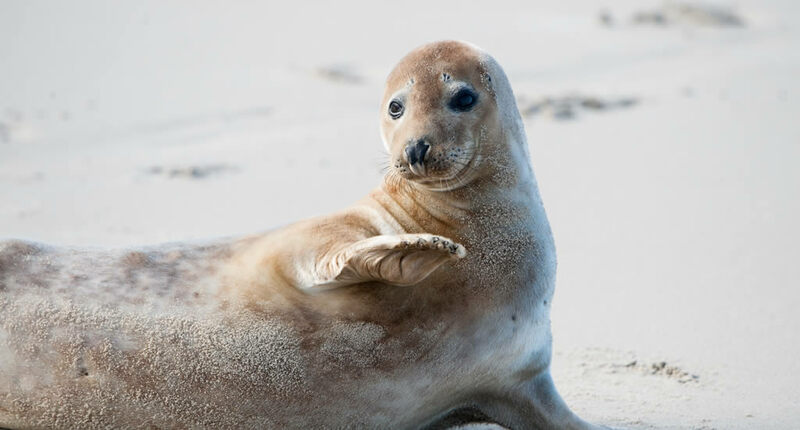 Further up north, in Friesland and Groningen, you’ll be able to spot seals in the beautiful ecosystem that is Waddenzee. Though it’s also worth visiting the Seal Centre in Pieterburen, where seals and seal pups that have been injured are taken in, get treatment, to be released into the wild again. The visitor centre is highly informative and you’ll get a real feel for one of the most precious eco-systems in The Netherlands. We Dutch know how to party (I mean, during every Olympics the Holland Heineken House is the place to be) and throughout summer there are tons and tons of festivals to visit. Book festivals, music festivals, art festivals, theatre festivals, beach festivals, firework festivals, cheese festivals and of course food festivals. It doesn’t matter what you’re into, you will always find a festival that matches your needs. I have described 5 summer festivals in The Netherlands not to miss, so go check them out. So, do you feel like visiting The Netherlands in summer? Is there something special that you’d like to do here over the summer months? I’d love to find out. So leave me a comment! If I’ve convinced you to hop on over, check out how to plan your trip to The Netherlands. 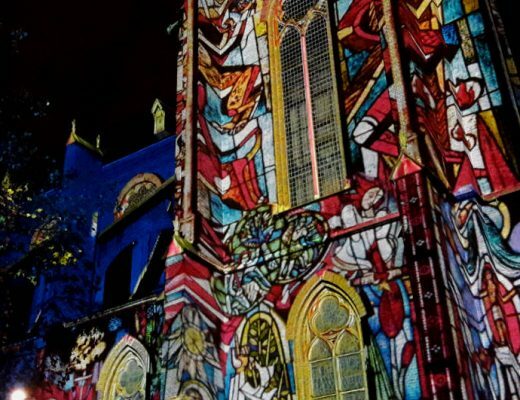 It looks like Amsterdam overshadows some of the other great things to do in the Netherlands. Great article with lots of stuff I’d love to try next time I’m in the country. Congrats on bubs too! Gorgeous country! I’d love to visit those small Dutch villages, among other things… Thank you for the tour and tips. And congratulations 🙂 Babies are so precious. The summer is my favorite time of year for sure! I would love to go back to the Netherlands in the summer, I have not been to the beaches there. First congrats on the new baby! There seems to be a lot to do in the Netherlands – the seals, beaches, and islands sound like great things to do this time of year. Congratulations on your baby boy! 🙂 And fantastic information as always, I love your photos, and I’m dying to come visit these places! What a great event, Esther! Congratulations! Your little boy is going to change your life quite a bit, but it’s going to be for the better. You live in such a beautiful country and there is indeed so much to see and do there. I can only hope to explore these beautiful beaches someday. Congrats on your little one!! I love the look of the beach huts in the Netherlands. I’ve never noticed them anywhere else but they seem like a relaxing way to enjoy the seaside! Babies are awesome. We are expecting one next week. Hope he likes to travel 🙂 We visited Haarlem beaches once and were told a few times Zeeland is beautiful and we have to visit someday. Right now I wish I was there …. weather looks a bit more pleasant for pregnant ladies than my local options. Congrats on your baby! Enjoy! The first few weeks just woooooosh by! Yes, the Zeeland coast is particularly pretty as well. I grew up nearby and have the fondest memories of the Zeeland coast. 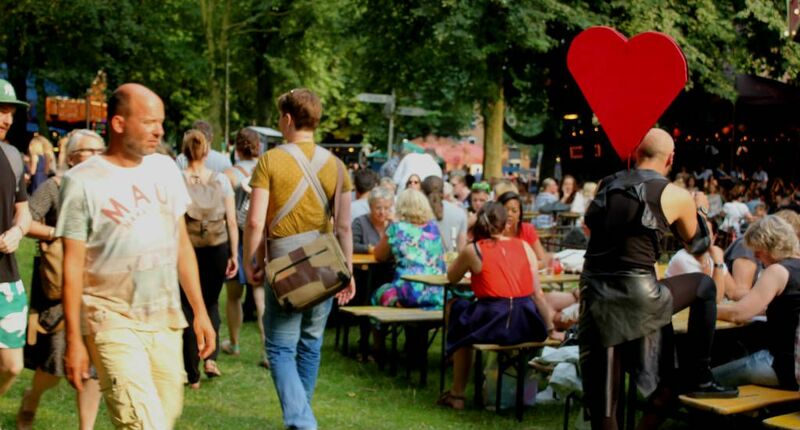 Esther, I love this list of how to experience the Netherlands in summer! I’ve visited the country a couple times in my life — though only once in summer. Both trips were spent primarily in Amsterdam. I was only 14 at the time of my first visit, so I’m not entirely sure where we went biking. Perhaps it was Amsterdam Noord because that scenery looks familiar. It was definitely fun and an activity I would love to do again. My mom has been researching our Dutch ancestry, so during a future visit, I would love to take my mom to explore some of the other towns you mentioned. The Dutch villages in particular seem picturesque and charming. And, congratulations on the birth of your future globetrotter! Congrats oh your baby! Love all of these things to do in the Netherlands during summer! It’s been nice to read all of your individual posts about these locations, but it’s nice to see them all in one! Hope to experience a Dutch summer one day! First of all, congrats on your wee globetrotter!! How exciting! Hopefully you get to take him on some of these Dutch adventures soon. This is a great list. It was winter and rainy when I was in Amsterdam! I would love to come back and do the seals, or stay in a beach hut. Or both! I would have liked to spend more time in the Netherlands but my cruise stop was cut short and my time in Europe too rushed. Muiden looks quite picturesque and I’m fascinated by Neeltje Jans and its technology. After seeing Dutch beaches in your separate post, I would love to visit in the summer. I’ve spent one month this summer in Amsterdam and I completely loved it, Esther. There is no better time to be in the Netherlands than in summer. Congrats on your baby!